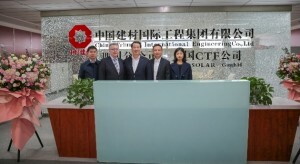 CTF SOLAR has opened its own permanent representation in Chengdu, China. 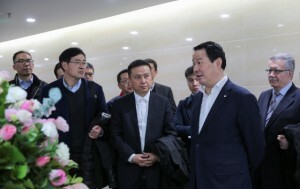 On 18 January 2019 the new office in Chengdu was officially opened by Dr. Michael Harr, CEO, who was accompanied by Prof. Peng Shou, President of CTF SOLAR’s parent company, CTIEC. The office will be managed by Mr. Xinjian Yin, who has been on the company’s management team as an authorised representative since early 2018. His deputy is Ms. Yinuo Shen, who has been with the company since 2012. The construction of the first CdTe solar module factory, also in Chengdu, was successfully completed with its final inspection in November 2018. The CTF Solar engineering team can now concentrate entirely on building the next factories in Handan near Beijing and in Taizhou near Shanghai. Further production lines are being planned in Chengdu – these will be extensions of the recently completed line – and also in a variety of places in Gansu Province.